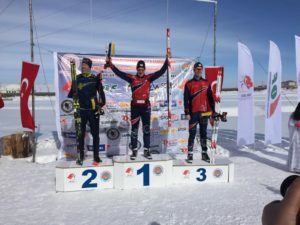 European SkiO Sprint champions 2019 are Alena Trapeznikova, Russia, fastest by 9 seconds, and Lars Moholdt, Norway, who won his race by an impressive 27 seconds. 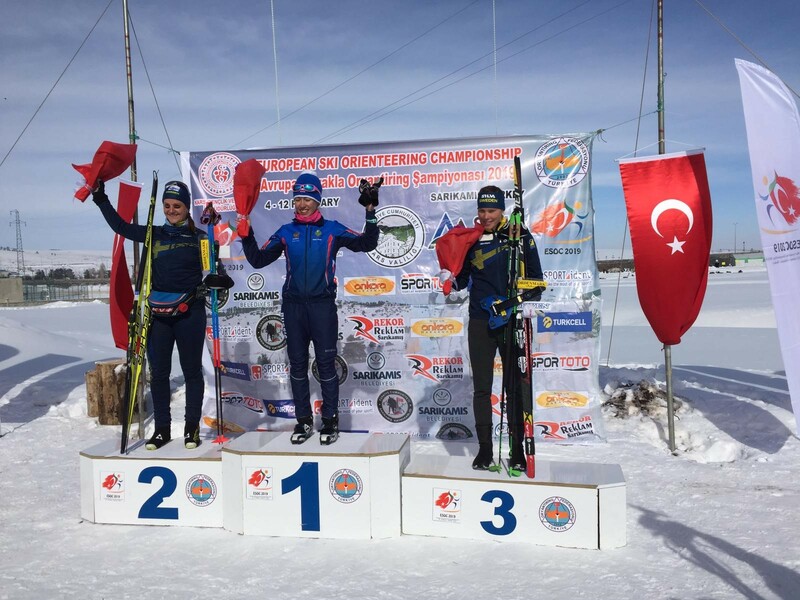 These were the first races of the Championships, which are being staged at Sarikamiş, a high-level ski resort in north-eastern Turkey with 15 nations represented. In both races, the women’s on a 4 km course (shortest skiing distance) and the men’s 5 km, the estimated winning time was exceeded by more than 2 minutes. Both champions won European gold medals in 2017 too – Trapeznikova in Long Distance and Moholdt in Middle. 31-year-old Alena Trapeznikova, number 7 in the IOF World Rankings, was pushed hard throughout by Sweden’s Magdalena Olsson who ended 9 seconds down. 2018 Ski Orienteer of the Year Tove Alexandersson made a critical early mistake, reaching control 5 33 seconds down on the winner. She pulled this back to 20 seconds to be in third place at the finish. Linda Lindkvist completed an impressive three-in-row result list for Sweden. Lars Moholdt set up a 4-second lead over the Russian Sergey Gorlanov by control 7, and stretched this to 23 seconds by control 12 where Gorlanov had dropped back to third. 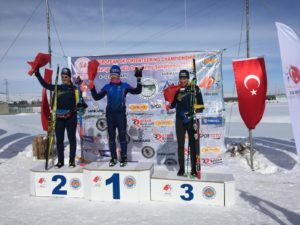 33-year-old Moholdt, world-ranked third having had an excellent start to this winter season, continued his good form throughout the race and won comfortably ahead of Erik Rost, Sweden, who came through to second place after a slow start. 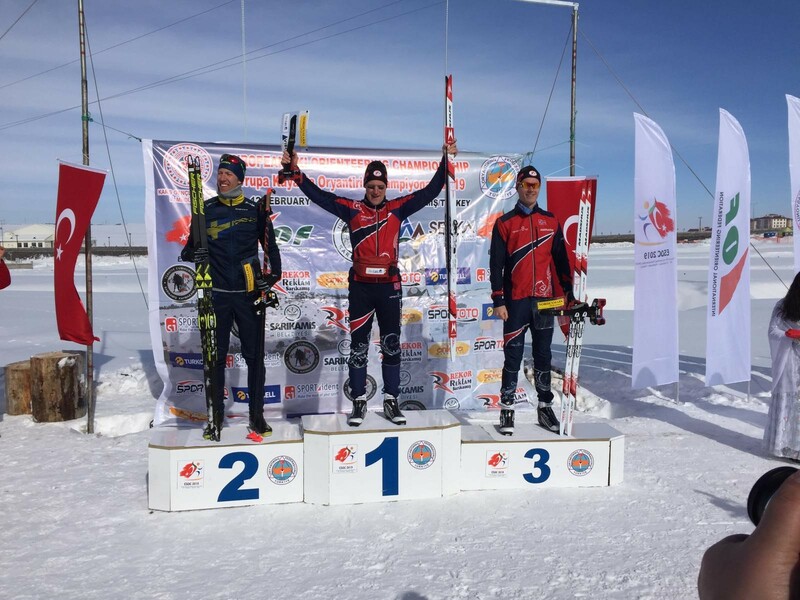 Norway will be delighted to win two medals here, with Jørgen Madslien getting the bronze medal after finishing with a time 5 seconds quicker than Gorlanov’s. The Championships continue tomorrow with the Mixed Sprint Relay; there is live stream coverage on the event website www.esoc2019.net and the race starts at 11.00 local time.